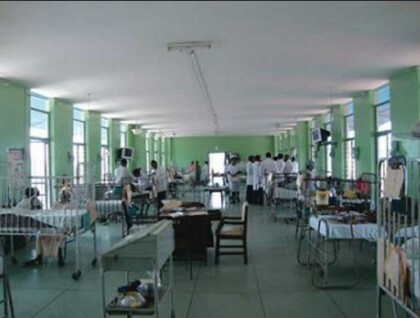 The Gombe State Government says it has adopted proactive measures against the outbreak of Cerebro Spinal Meningitis (CSM). Dr Kennedy Ishaya, the state Commissioner for Health, disclosed this to the News Agency of Nigeria (NAN) in Gombe on Friday shortly after meeting with the state committee on Epidemic Rapid Response on health issues. Kennedy said the one of the measures introduced by the government was the vaccination of one to six year olds before the commencement of each rainy season. He said government would focus on that particular age group because they are the most vulnerable whenever an outbreak of disease occurred. The commissioner noted that with the rainy season fast approaching, there was usually CSM and other communicable disease outbreak. “Although we have not recorded any CSM case in Gombe state but we want to take precautions to curtail the problem in case it happens. “We have been receiving unconfirmed cases of CSM sporadically but they were treated even before their sample was taken for test. “Gombe people travel daily to the North West where cases of CSM were reported. “There are the likelihood of importing the case to Gombe hence the need to take preventive measures,” he said. “We want to make arrangements of adequate drugs ahead of time, we do not want fire brigade approach,” Kennedy said. The commissioner also said the state was considering the possibility of establishing a laboratory in Gombe, instead of taking samples to Lagos. He said the meeting focused on four health issues threatening human lives; namely, CSM, measles, Lassa fever and Polio. Kennedy advised residents against killing of cats “because they are a natural predator of rats’’. “Stop killing cats, they are natural predator of rats, and we are all aware that rats cause Lassa fever,” he said. He added that the state government has secured about 200 ampoules of Lassa fever drugs in case of outbreak.